they look up to cities like Maastricht and go as far as buying mediaeval castles from Belgium at outrageous cost. Envying Amsterdam and Rotterdam, they want to have old warehouses and factories for their ‘creatives’. Inspired by medieval cities, Almere desires a city heart, and just got a brand new city center with a heavy shopping program. At a time when old cities themselves wriggle out of generic and conformist shopping-mall-downtowns, why should Almere be the next sheep in the herd? 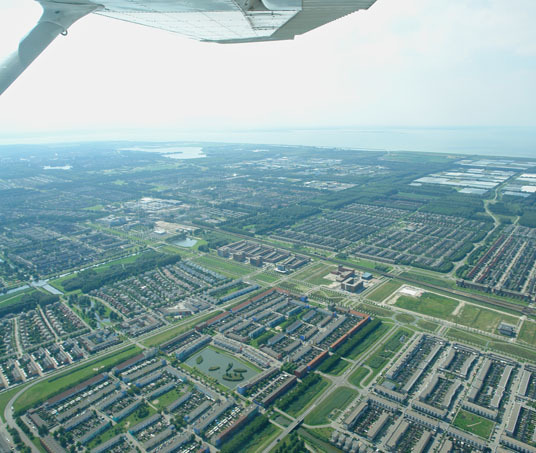 Beyond all these hopeless imitation adventures, Almere is the only growing territory of otherwise stagnating country. The ethnically mixed population profile is rather young, which enjoys the fastest internet connection in the country. Just as in a museum for contemporary architecture, beauties of early as well as late O.M.A, MVRDV, of British [Chipperfield, Alsop], French [Christian de Potzamparc] Japanese [Sanaa], and native [Architecten Cie, UN Studio] are all in Almere’s panorama. Further the local government experiments with new urbanism concepts, such as selforganized-city production; here, one can log on to web and start being part of a planning team. 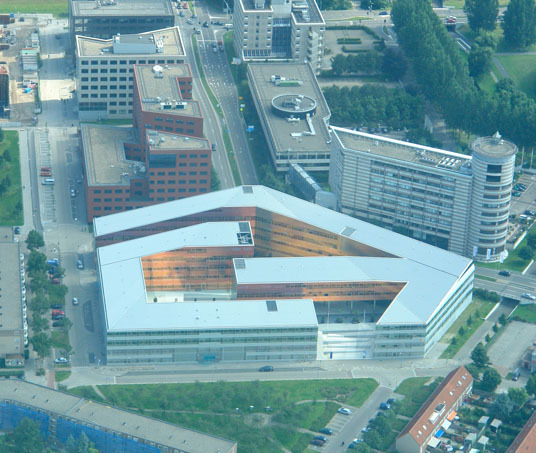 Further, by now Almere has her global export products, such as the Big Brother, which was invented on this young soil a decade ago. There is the moment where new towns turn adolescent from puberty: they become cities. But is Almere there yet? AAAAAAAAACCCCCCCCCCKKKKKKKK!!!!!!!!!!!!!! I And I thought suburban architecture and planning was ugly here in California. To think I always took the Dutch to be such a creative and cultured people. Well, I suppose everyone is allowed at least a few screw-ups once in a awhile. But, this one really takes. That’s for sure.